From chic balayage hand-painted highlights to textured shags and classic bobs, Shaun Surething works in his West Village hair salon with each client to accentuate their authentic personal style. ALLURE magazine named Shaun one of the best stylists in NYC. Hilarious over-shares and generous advice re astrology, healing, NYC real estate and cultural trends keep Shaun’s devotees coming back—and loving him for more than just the best hair of their lives. Shaun has strived to create the very best hair salon in NYC. Always personable and never boring, a visit with Shaun SureThing is fun, stimulating and thoughtful. All of his clients leave with a fresh perspective on life and, most importantly, a great new style. Shaun is the lead stylist and co-owner of Seagull Salon. He offers some of the chicest, stand-out haircuts and colors in downtown Manhattan. 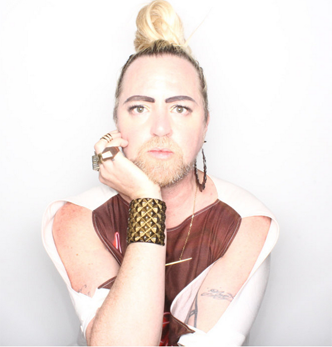 “There are no guarantees in life—unless you’ve booked an appointment with Shaun “Surething.” Then you’re certain to encounter a friendly eccentric, a diverse clientele, and obsessively precise scissor work” – Allure Magazine. This, along with numerous notable press mentions, signals his permanence as a highly coveted, well-ranked hair stylist and colorist in New York City. Shaun is inspired by obscure film, fashion, fine art, and vintage album covers. He will collaborate with you to create a style that highlights your best assets. The ambiance is cool without being exclusionary. “We’re like an old-school salon in that stylists collaborate on ideas and people actually talk to each other.” Shaun SureThing – The New York Times. An add-on blow-dry charge of $50 applies to all color services booked without a hair cut.